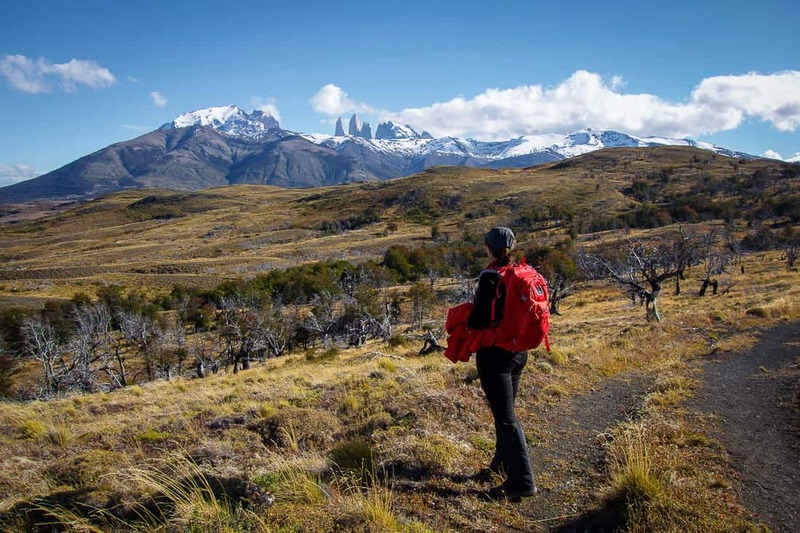 This trail makes hiking Torres del Paine look literally like a walk in the park. Mirador de Cuernos trail (about two hours round trip) is not only easy, but also very beautiful. The starting point is right above Lago Pehoé where you can find a big parking lot. 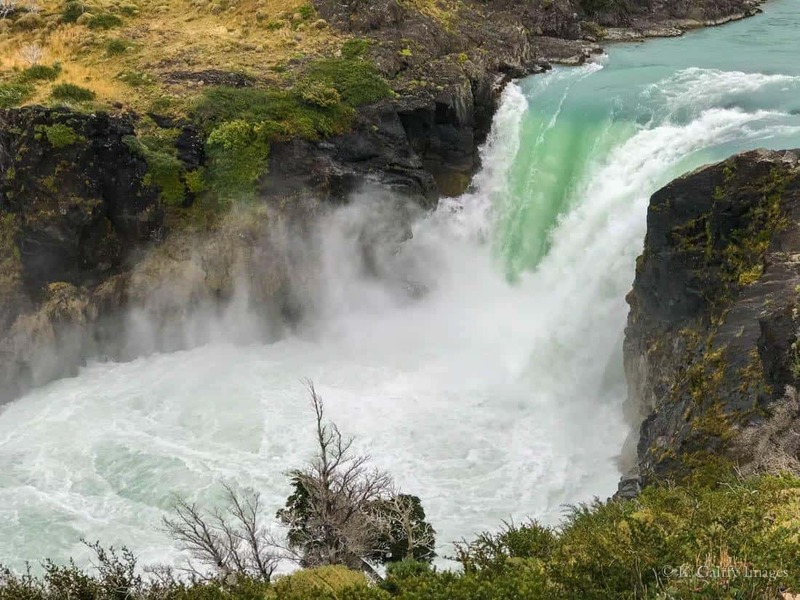 Just a short walk from the parking lot, the path passes by the Salto Grande, a powerful and spectacular waterfall. This waterfall is quite dangerous in windy weather and has claimed a few lives over the years (some just before our arrival in the park, in a very unfortunate accident). From Salto Grande the walk continues slightly uphill. 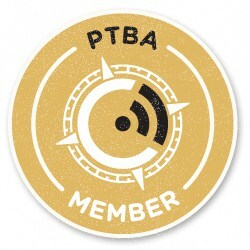 You’ll pass through an area that was impacted by a great fire back in 2012. Soon you’ll begin to see the Horns (Los Cuernos) sticking out of the green meadows dotted with rugged rocks. After an hour of hiking you’ll arrive at the Mirador Cuernos. From this outlook you can see the majestic Mount Paine Grande rising straight up from the other side of Lake Nordenskjöld. The image is simply stunning. 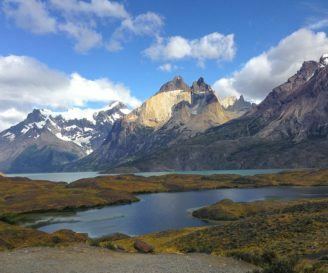 Should you ever make it to Torres del Paine, don’t miss this walk. It’s pretty easy, short and offers the most dramatic views of Los Cuernos. One of my favorite easy hikes in the park! 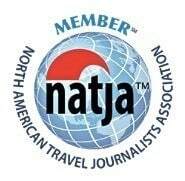 “Fauna Trail” is not listed on any maps of Torres del Paine National Park. 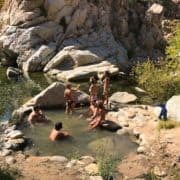 This easy 8km hike is officially known as Porteria-Porteria, but most people call it “Fauna Trail” due to the constant flow of animals that can be seen here. The trail starts at Porteria Lago Sarmiento (one of park entrances) and ends at Porteria Laguna Amarga (another park entrance). 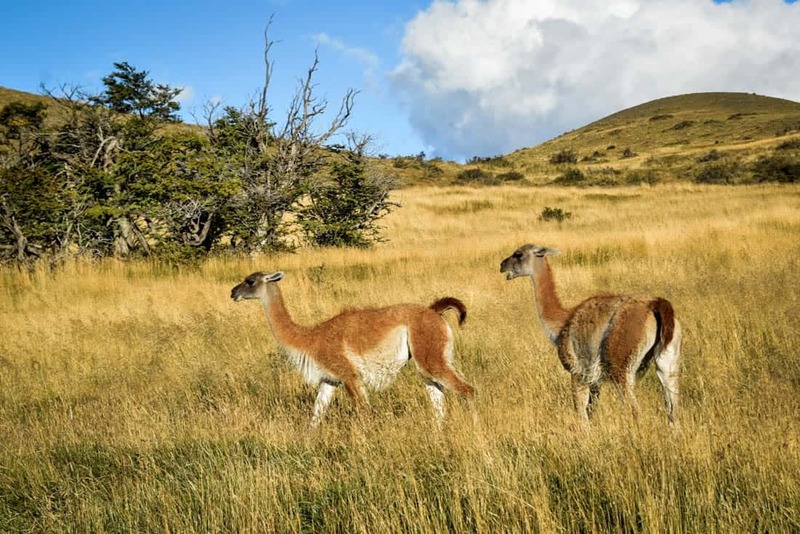 Along the way you’ll encounter herds of guanacos and may even spot a puma, if you hike at dusk or at dawn. The pumas are attracted here by large number of guanacos, so you’ll see quite a few guanaco remains on the ground as you hike. You’ll also see lots of condors and some other birds of pray in this area. They won’t miss the opportunity to feed from the pumas’ left overs. If you can take a small detour, you can also visit a cave with some prehistoric paintings, estimated to be between 3000 and 6000 years old. Not many people know about this secret trail, so chances are you’ll be there by yourself. This is a short and easy walk to reach Lago Grey and get a glimpse of Glacier Grey from afar. From the Hotel Lago Grey entrance you will cross the Pingo River on a wooden suspension bridge. Continue through a Lenga forest until you arrive at the dark sand beach. From the beach you will see the massive glacier in the distance. Walk to the end of the beach for about 20 minutes until you see a sign to the lookout point for a beautiful view of the glacier. 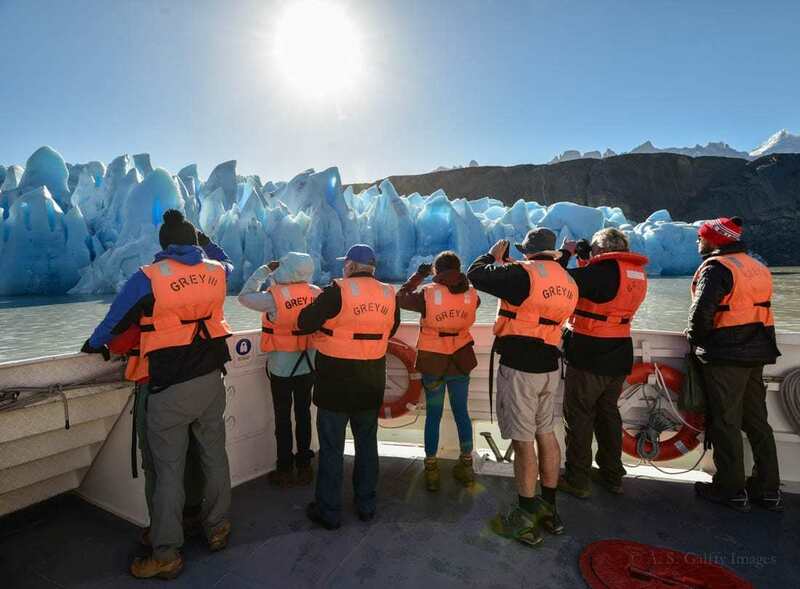 If you have more time, take a catamaran trip to the Glacier from Hotel Lago Grey. This boat trip is quite popular, so make sure you book at least a day in advance. 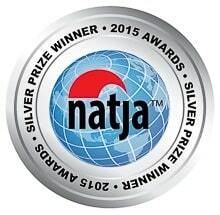 Glacier Grey which covers an astounding area of 100 sq. miles is part of the Southern Patagonian Ice Field, one of the largest continental stretches of ice. We were very lucky with the weather. The day before it rained so bad, that all three boat trips had been canceled. But when we arrived at Lago Gray the sun was shining in all its splendor and there was no wind (quite a miracle in Patagonia!) It was such a gorgeous day, that even the crew was taking pictures of the glacier from the deck. 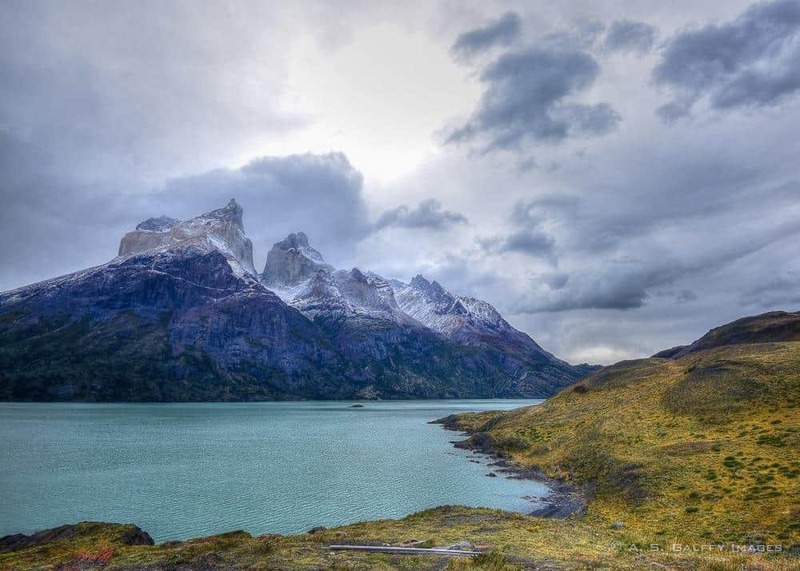 Located in the eastern part of the park, Laguna Azul is one of the most beautiful day hikes in Torres del Paine. If you enter the park using the Laguna Amarga entrance, you will drive approximately 45 minutes Y-160. You will pass ranger station on the way, so if you have any question you can stop there and ask. There are some buildings and a parking place at the head of the trail. This hike is really easy, following the edge of the water through tall grass and beautiful forests. It is ideal for families with children, or for those who want to explore the park at a more relaxed pace. 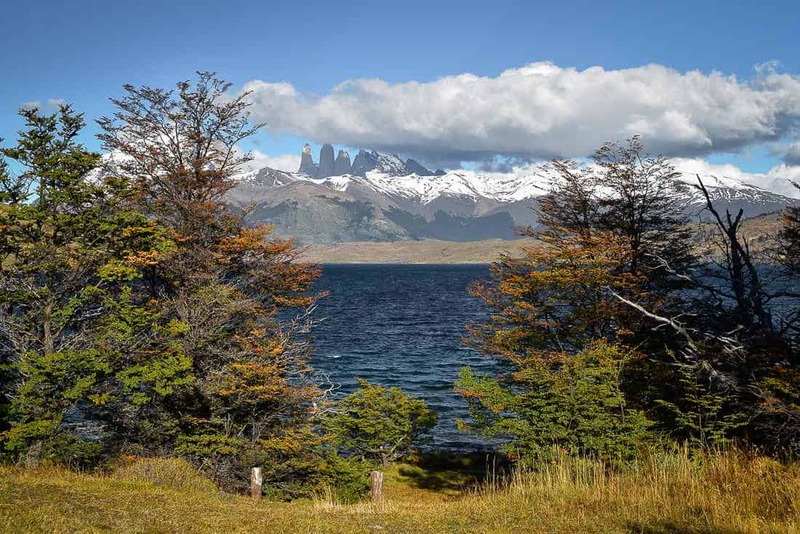 In this area you will see a lot of birds and some guanacos grazing by the lake. You will also get great views of Las Torres reflected in the dark blue waters of Laguna Azul. In fact, this is the only place in the park from where you see the three towers without having to do a strenuous hike. Laguna Azul is outside the tour busses area. 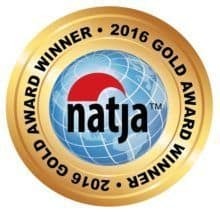 We haven’t seen anybody on these two trails, so let’s keep it a secret! From Laguna Azul the path cuts across the hills to get to Laguna Cebolla. A much smaller lake, Laguna Cebolla itself is not something that will blow your mind. However, the hike there is quite beautiful. The path goes through a dense Lenga forest and passes another small lake whose name I can’t remember. 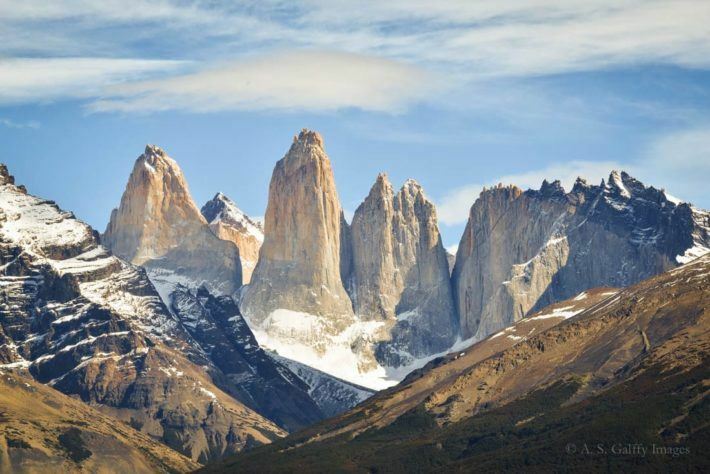 You get to enjoy fantastic views of Las Torres all along the way. The hike is very long, considering that it can only be done in conjunction with the one at Laguna Azul. We measured 17 miles from the head of the trail of Laguna Azul to Laguna Cebolla. There are no signs on the way, but the path is easy to follow, so no chance of getting lost. You can even continue a bit further if you want to. 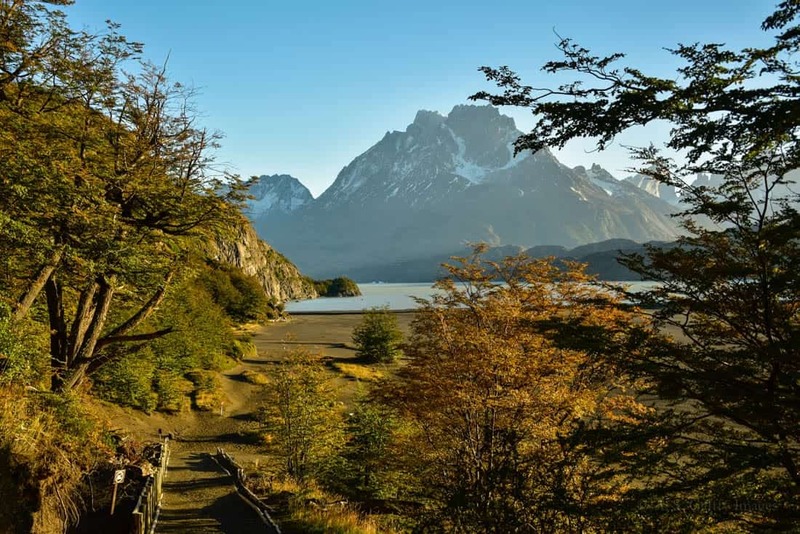 This beautiful lake bears the name of Otto Nordenskjöld, a Finish-Swedish explorer who traveled extensively in Patagonia at the beginning of the 20th century. 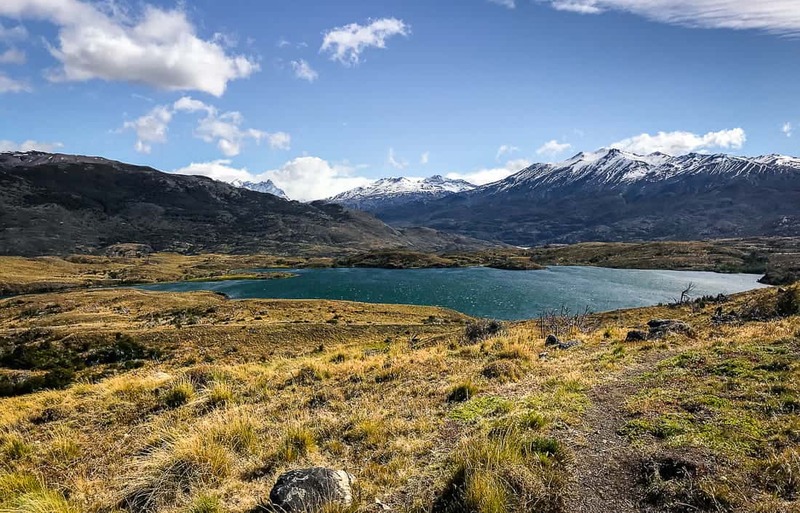 The trail, which is actually part of the famous “W” circuit, starts at hotel Las Torres and stretches between the lake’s north shore and Monte Almirante Nieto. The first hour is relatively easy, going through a beautiful valley at the foot of the Paine Massif. The scenery is not particularly great in the beginning, compared to other sites in the park. Soon the the hike transition to a more interesting but also a more difficult part, going uphill for a while and crossing several streams. The views keep on changing, different perspectives open up and in the end you arrive at a high point where you can see Lake Nordenskjöld in all its splendor. Its blue waters add a refreshing colour to what is in many respects a rather bleak landscape. From here, the trail continues down to the lake shore and back on totally flat terrain. This area is great for condor viewing and some very interesting rock formations. 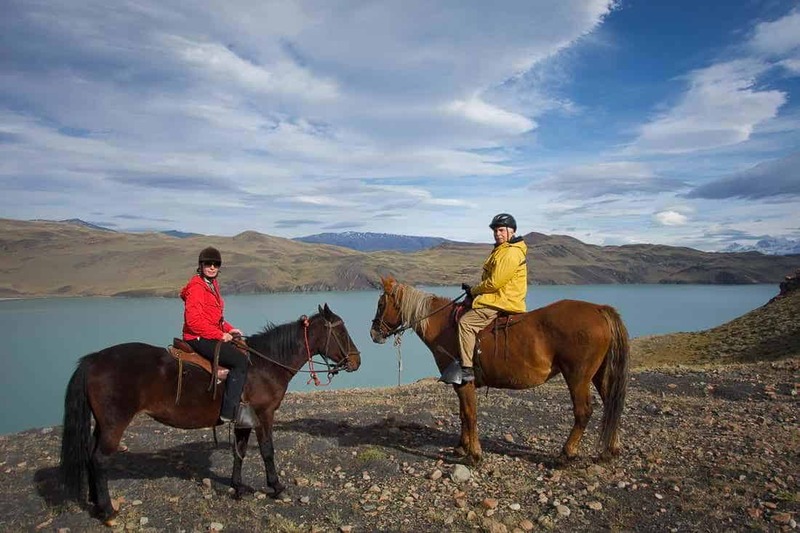 We took the equestrian version of this excursion, courtesy of Hotel Las Torres Patagonia. 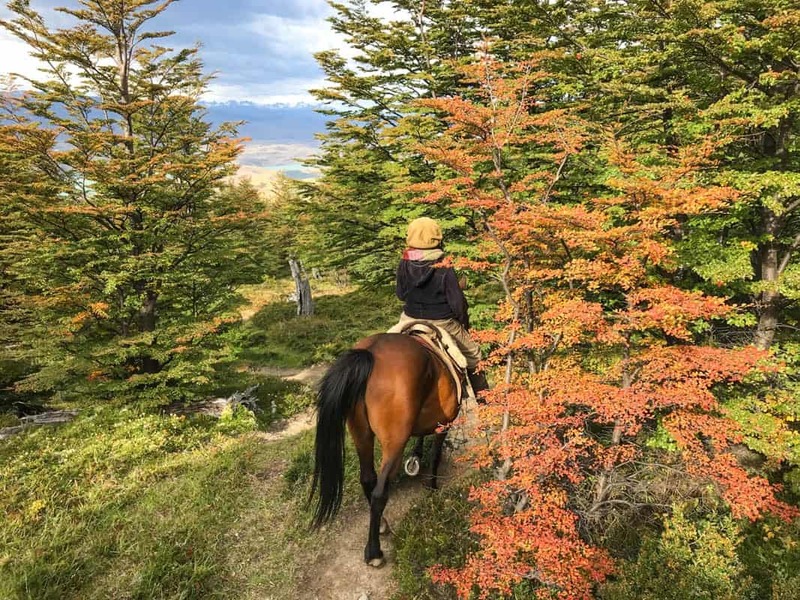 We also learned some interesting facts about Patagonian baqueanos and their horses, during that trip. The trail is 7 km long. On horseback the trip took about 3 hours. This is a more difficult hike that goes constantly uphill for about 6.5 km, on a relatively steep trail. 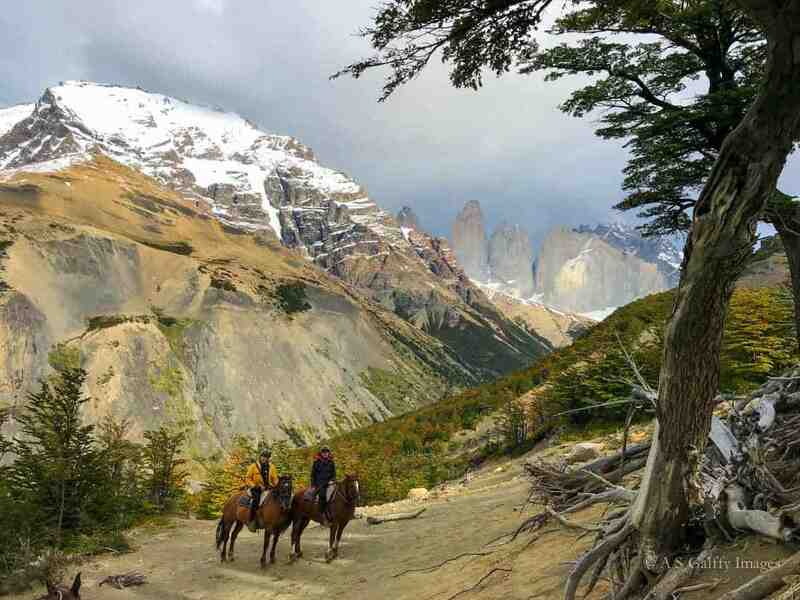 The trailhead starts behind the stables of Hotel Las Torres, ascending though a beautiful Lenga forest. At some point the forest becomes very dense, hiding everything else from the view. As you make your way up the mountain, you can spot many birds and enjoy the variety of vegetation around. After about an hour, the landscape starts to open up. 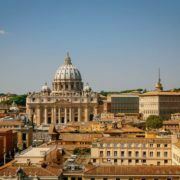 It culminates at the Mirador D’Agostini with panoramic views of the granite towers across the valley. 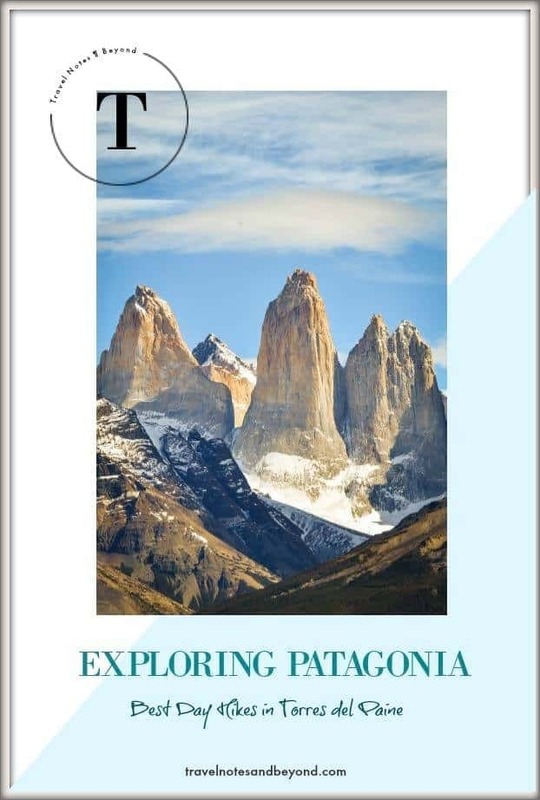 This is one of the best day hikes in Torres del Paine that allows you to see the grandiose Las Torres in just half a day. 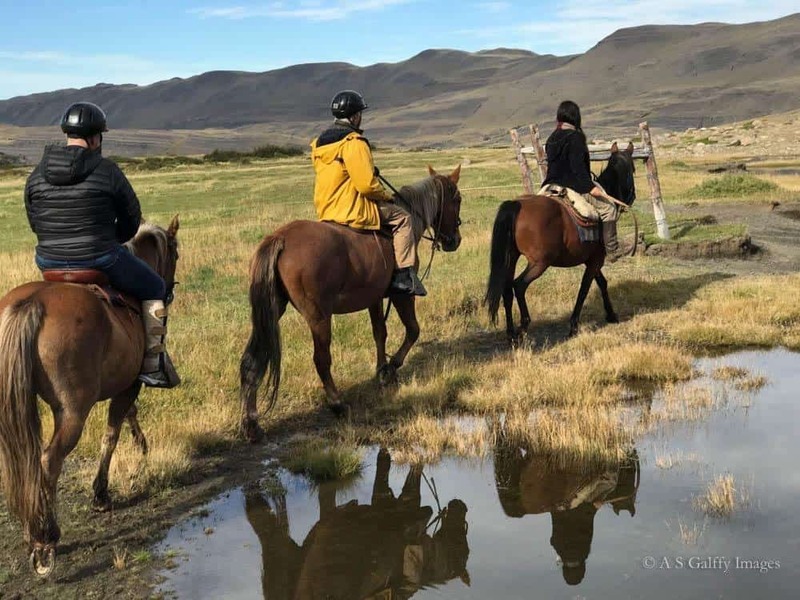 We took this trip on horseback, courtesy of Hotel Las Torres. 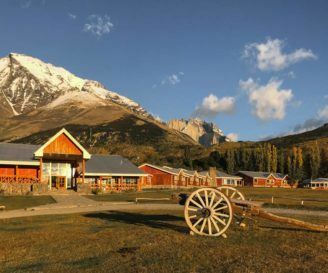 There are many other beautiful day hikes in Torres del Paine or even outside the park, like Cueva del Milodon, which should not be missed if visiting the area. 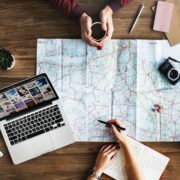 For those who want to test their endurance, there are quite a few challenging full day hikes as well. I think you could easily spend a couple of months in this park and still not be able to see it all.